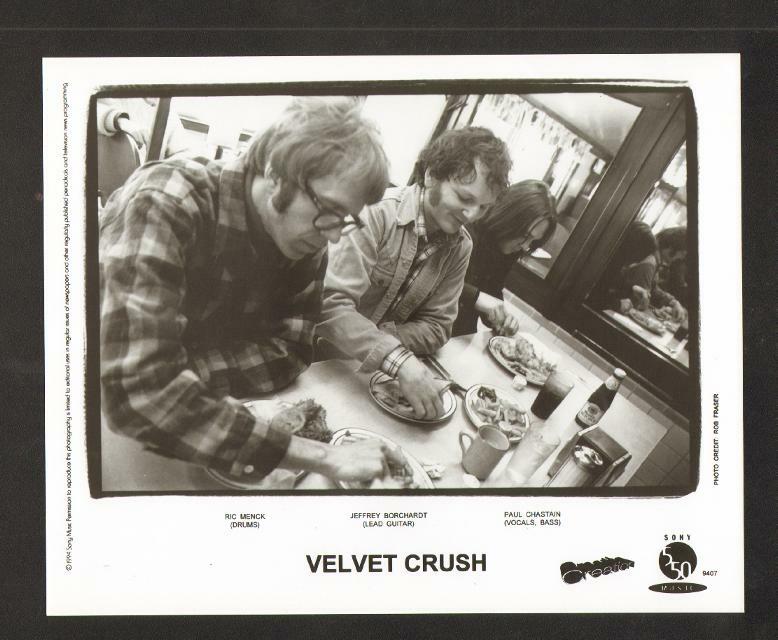 Velvet Crush is an American power pop band from Providence, Rhode Island, United States, that achieved prominence in indie-rock circles in the early- and mid-1990s. The band broke up in 1996 but re-formed in 1998 and have continued to record, releasing their most recent album in 2004. Vocalist/bassist Paul Chastain and drummer Ric Menck are the band's core members, having previously worked together as Choo Choo Train, Bag-O-Shells, and The Springfields, and they share singing and songwriting duties. Guitarist Jeffrey Borchardt (of Honeybunch) played on the band's first three albums, In the Presence of Greatness, Teenage Symphonies to God, and Heavy Changes. In the Presence of Greatness was produced by Matthew Sweet, while the second and third albums were produced by Mitch Easter. In 2015 David Barker revived his Glass Records label, and will be reissuing In the Presence of Greatness on vinyl in October 2018 on the Glass Modern imprints. ^ "Compilations featuring Eleventh Dream Day". Dirk's Discography Website. Retrieved Dec 2, 2009. This page was last edited on 9 July 2018, at 01:48 (UTC).